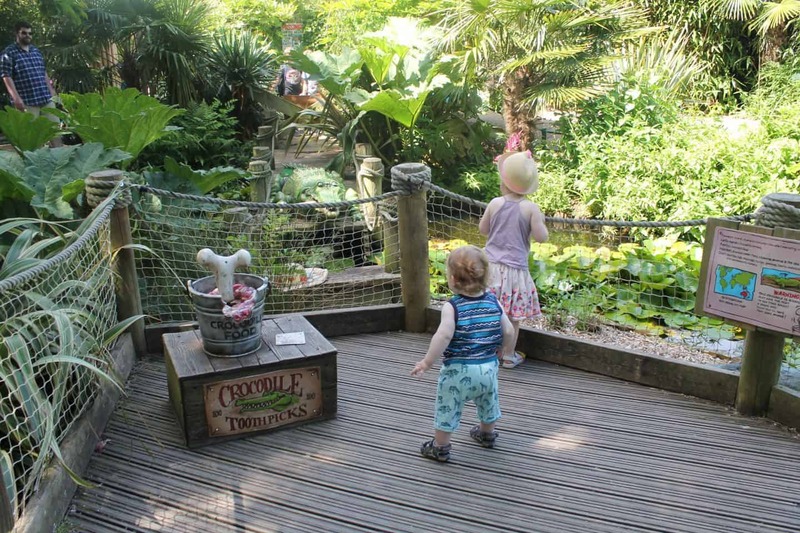 There are so many different animals to see, over 100 in fact! For me this was the highlight as I could easily sit and watch animals all day, especially Monkeys! I loved that all the enclosures were clean and obviously well looked after. 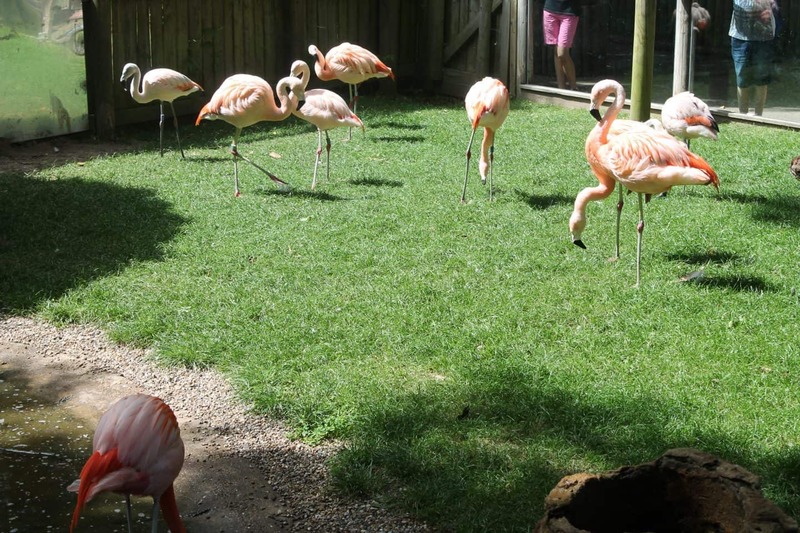 We all really loved the Macauques with their bright pink bottoms, and got to see them being fed. Arlo especially seemed enthralled by the Meerkats and Owls. As well as more unusual animals there was a small farm yard with all the animals that you’d expect to see; including adorable miniature donkeys! There is also a walk through bat area and a little area with tarantulas and cockroaches and so on which Athena seemed to love, strange girl that she is! 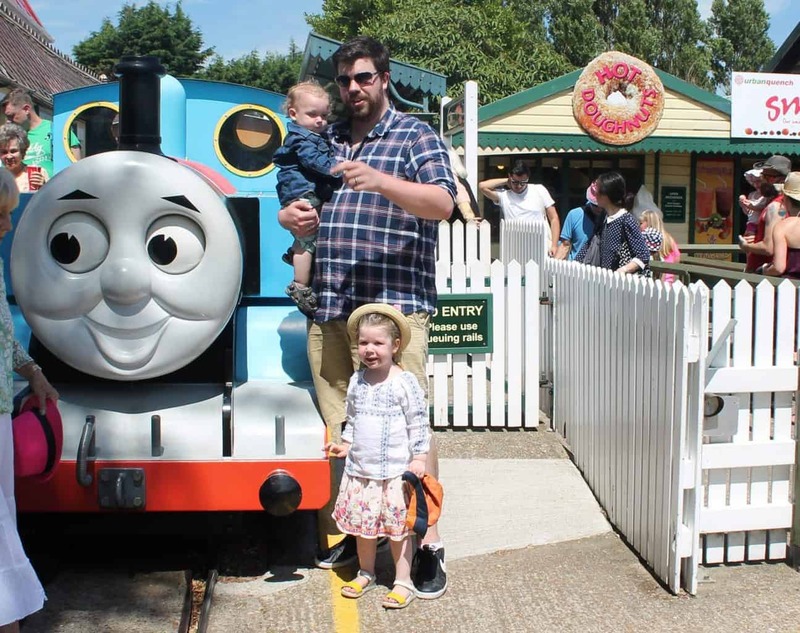 You can take a ride on Thomas the Tank Engine! He takes you on a circuitous route around the park, passing by the splash pad, the camels, penguins and other animals and gives you an opportunity to wave at everyone as you do! He looks just like the Thomas we know and love and I don’t think I’ve ever seen Athena so amazed by a train! 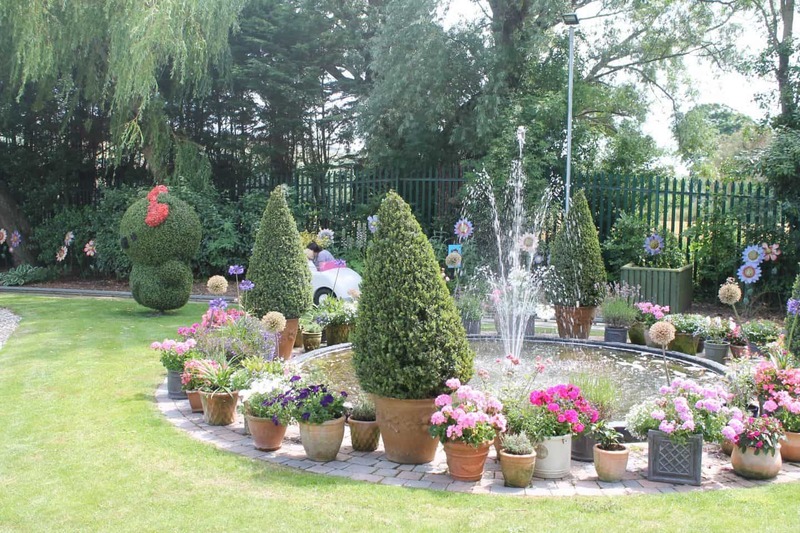 Hello Kitty has a secret garden, and it’s the only one in Europe! 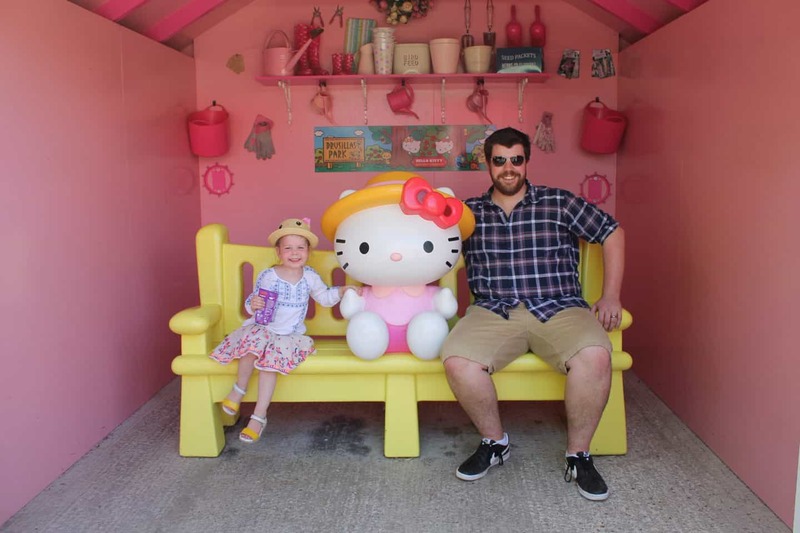 With three rides perfect for kids this is an adorable little area, and once we’d snapped a photo with Hello Kitty on her sofa Athena bolted round to the Hopper ride and nabbed the last space on it before I could ask her to wait! She loved it! her little face as it went up and down was a delight! We then went on the teacups all together and then Athena and I drove one of the cars round the perfectly pink garden! Watery fun! There are two separate areas for kids to splash about in, the Explorers Lagoon is a paddling pool with some water jets and a grassy area for families to spread out at, as well as benches around the pool, it was so hot on the day we went and it was lovely to be able to chill out on the grass whilst Sam played with the kids in the water! Be warned though that there may well be kids with water pistols and a bad aim, I got soaked by one little lad! 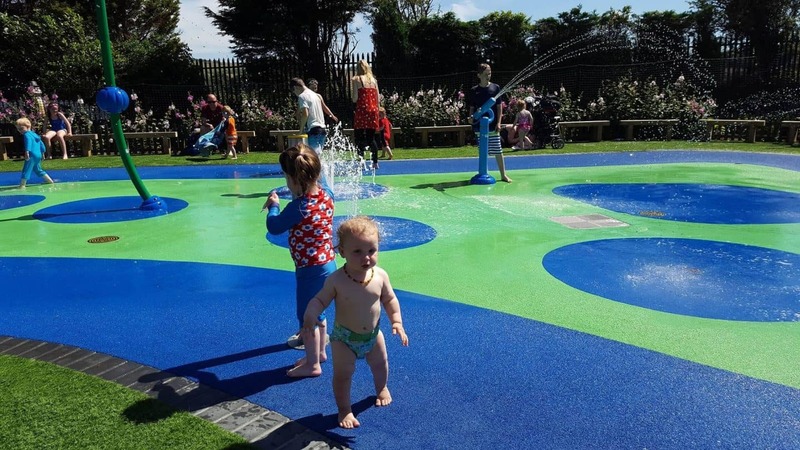 The other area is the Get Wet Splash pad which is new for this year and is a brilliant addition to the park. It’s a 200 sq metre area full of jets, geysers and sprays. The flooring is soft and safe if someone falls over and there is astroturf around the edge so there’s no mud to contend with! The aerial climbing frame with slides creates a lot of shade for hot mums and dads to chill out in whilst the kids play. We had to strategically do this area last as I knew we’d never be able to coax Athena away if we came here first! 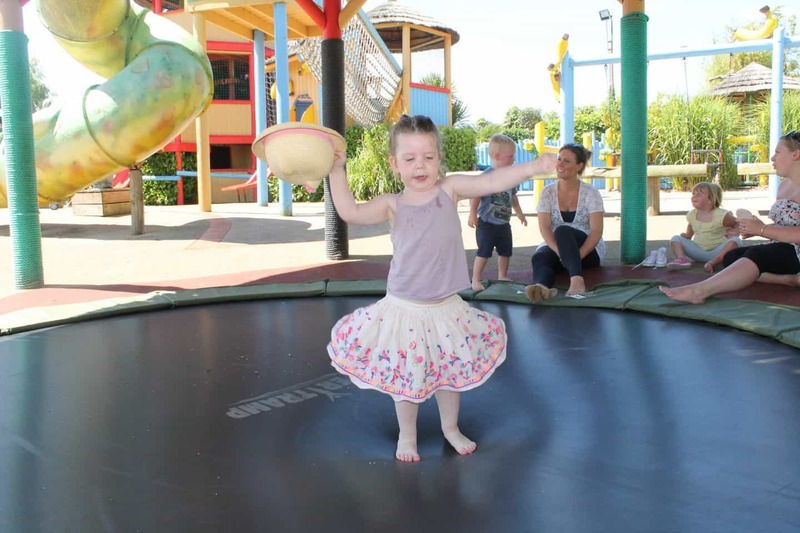 Adventure play parks designed for kids of all ages, Go Bananas is aimed at under 6’s and has a trampoline which my two loved, as well as the swings and slides. 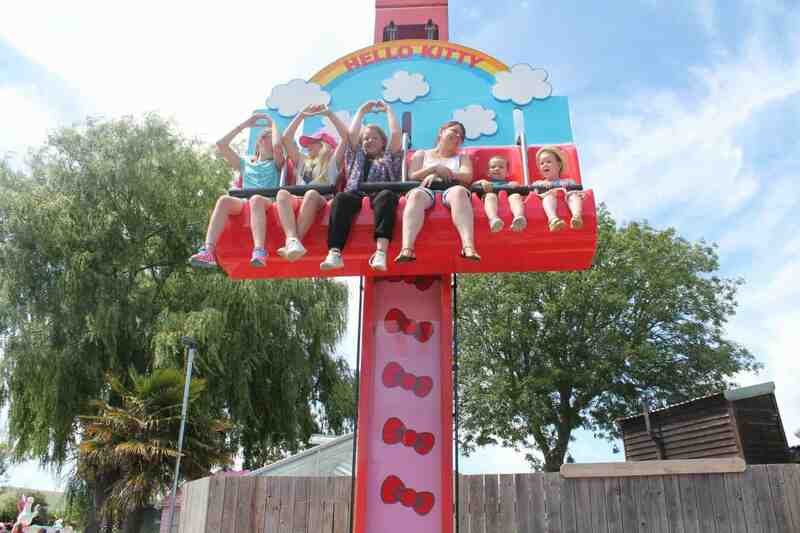 There is also Go Wild, for older kids of 7 and up including banana boats and an awesome looking Helter Skelter. I will admit that I had a go on the zip wire and it was awesome! There is also a huge indoor soft play centre but we didn’t venture in as it was too nice outside, nor did we explore the maze, next time we will though! Penguins. 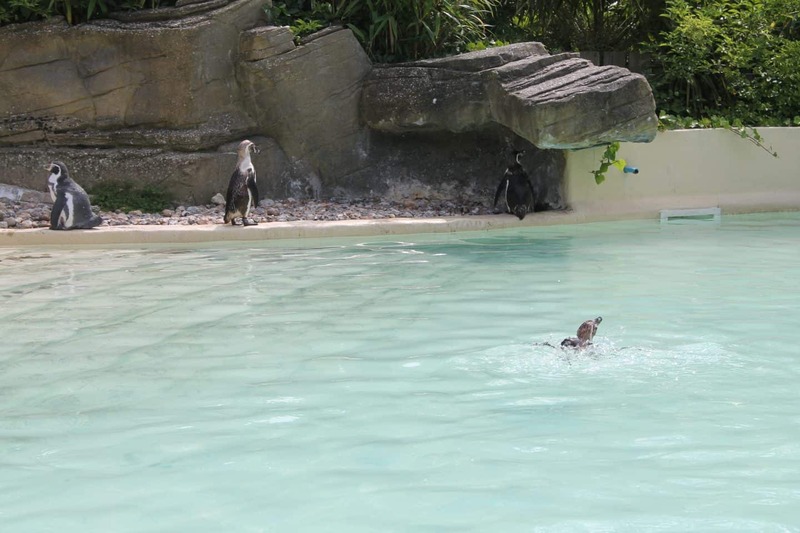 They get their own point because they are my favourite bird and I have such fond memories of visiting the penguins from my childhood visits to Drusillas! They have feeding times at 11.30 and 4pm so you can get to see them chomping on fish and generally have a whale of a time! Almost everything is included in the admission price. The only extras are face painting/hair braiding and a few activities like panning for gold and the big inflatable slide. 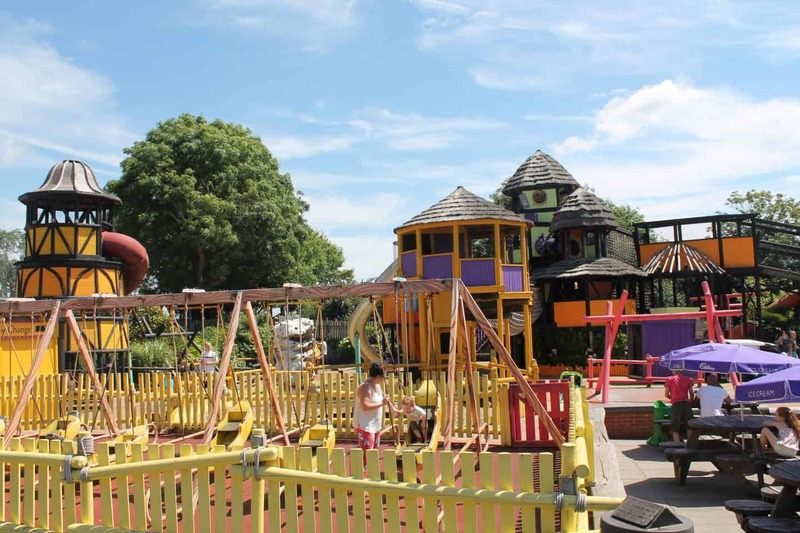 The Hello Kitty rides, the Thomas the Tank Engine train and all the indoor and outdoor play areas are all completely free of charge, as are the feeding times and talks. The special Meet and Greet days are included in the price too, This year sees Peppa Pig, Bing & Flop and Hello Kitty to name a few! Plenty to eat! We ate at the Oasis Cafe, there were plenty of tables outside or inside (where it was nice and cool) and we even had lollies for pudding! 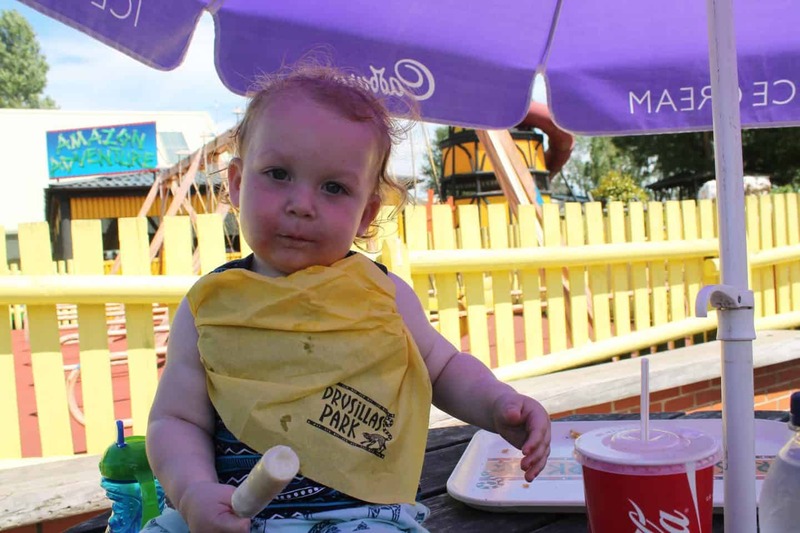 There are three cafes at the park so plenty of choice! 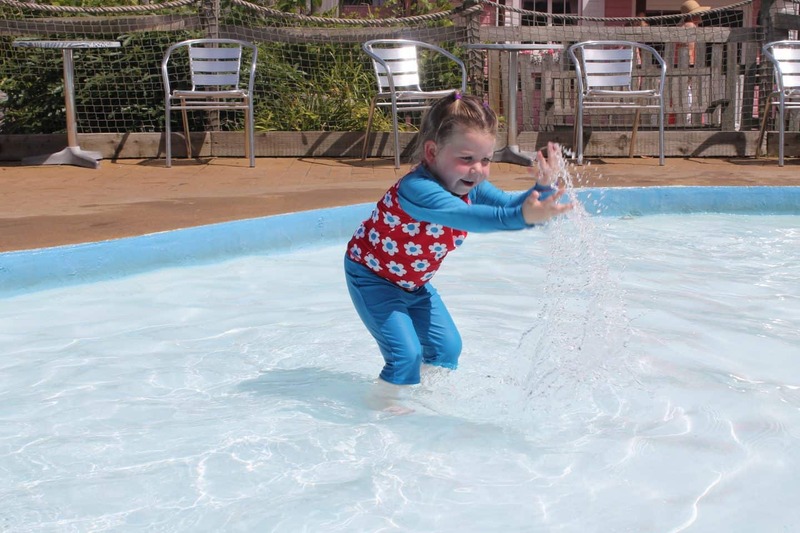 Drusillas is about a 20 minute drive from Brighton, located on the a27. It is open all year round apart from 24th/25th/26th December and there is plenty to do undercover so still perfect for a rainy day visit. The opening times and special event dates can be found on the Drusillas Park website, along with an interactive map so you can plan your day. There was a display up in the zoo trail explaining the history of the park, I love reading about how places came about and have grown over time; in fact Drusillas was the inspiration behind Chessington, and most of it burnt down when it was still well known for its Cream Teas! We will definitely be visiting again, there is so much to do and as the kids grow up they’ll get even more out of it as they will be able to read about the animals and do the animal spotter challenge (Stamping a booklet as they arrive) and maybe even take part in one of the experience days where they can experience being a zoo keeper for the day! We received a family ticket to experience Drusillas, all words and opinions are my own. These photos are so adorable, Drusillas is so nice! We live it there, have season tickets which are good value. However only but I don’t like is the gift shop with soft toys at toddler level. All parents hate that bit! I think Season tickets might be what we spend the kids christmas money on for next year!